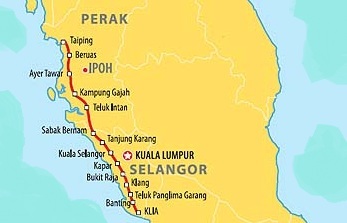 It has been reported in the press that the planned RM 7.1 Billion West Coast Expressway linking Taiping in the state of Perak to Banting is being reviewed by the Attorney General who has as yet not signed the deal off and is still reviewing the legal documents. The report states that the Attorney General is concerned that the highway concession is not in the public interest and he has informed the relevant government agencies of his concerns regarding the 224km proposed highway. The estimated construction cost escalating by RM 4 billion. This entry was posted in Industry News, Site Update and tagged Highway Concession, Malaysia, West Coast Expressway. Bookmark the permalink.